In this chapter an innovative experimental methodology is described for studying identity by using identification with fictional characters in computerised fictional narrative material (hypertext). This methodology reveals an unpredicted finding that females identify more strongly with their own gender whereas males identify equally with either gender. This echoes other research findings from quite different domains, suggesting a general phenomenon. 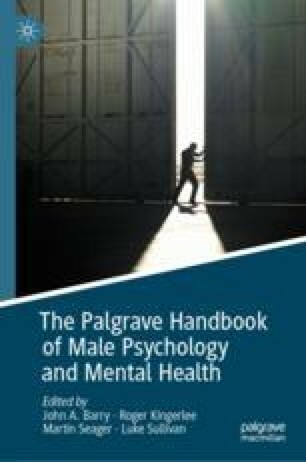 Implications for further research and how these findings might inform creative communication and mental health practice in relation to gender are discussed. Aarseth, E. (1997). Cybertext: Perspectives on ergodic literature. Baltimore, MD: John Hopkins University Press. http://www.autzones.com/din6000/textes/semaine09/Aarseth(1997).pdf. Bessiere, K., Seay, A., & Kiesler, S. (2007). The ideal self: Identity exploration in World of Warcraft. Cyber Psychology and Behavior, 10, 530–535. http://online.liebertpub.com/doi/abs/10.1089/cpb.2007.9994. Boss, E. (2008). Key concepts in forge theory. In M. Montola & J. Stenros (Eds. ), Playground worlds: Creating and evaluating experiences of role-playing games. Helsinki: Ropecon ry. http://2008.solmukohta.org/pub/Playground_Worlds_2008.pdf. Burke, P., & Stets, J. (2009). Identity theory. New York: Oxford University Press. http://dx.doi.org/10.1093/acprof:oso/9780195388275.001.0001. Cohen, J. (2001). Defining identification: A theoretical look at the identification of audiences with media characters. Mass Communication and Society, 4(3), 245–264. http://dx.doi.org/10.1207/S15327825MCS0403_01. Ducheneaut, N., Wen, M., Yee, N., & Wadley, G. (2009). Body and mind: A study of avatar personalization in three virtual worlds, CHI ’09. In Proceedings of the SIGCHI Conference on Human Factors in Computer Systems (pp. 1151–1160). http://dx.doi.org/10.1145/1518701.1518877. Järvelä, S., Ekman, I., Kivikangas, M., & Ravaja, N. (2012). Digital games as experiment stimulus. In DiGRA Nordic ’12: Proceedings of 2012 International DiGRA Nordic Conference. http://www.digra.org/digital-library/publications/digital-games-as-experiment-stimulus/. Jorgensen, K. (2009). “I’m overburdened!” An empirical study of the player, the avatar and the game world. In DiGRA ’09—Proceedings of the 2009 DiGRA International Conference: Breaking New Ground: Innovation in Games, Play, Practice and Theory. http://www.digra.org/digital-library/publications/im-overburdened-an-empirical-study-of-the-player-the-avatar-and-the-gameworld/. Kromand, D. (2007). Avatar categorization. In DiGRA ’07 – Proceedings of the 2007 DiGRA International Conference: Situated Play. http://www.digra.org/digital-library/publications/avatar-categorization/. Kujanpää, T., Manninen, T., & Vallius, L. (2007). What’s my game character worth—The value components of MMOG characters. In DiGRA ‘07—Proceedings of the 2007 DiGRA International Conference: Situated Play. http://citeseerx.ist.psu.edu/viewdoc/summary?doi=10.1.1.190.1757. Martin, J. (2005). Virtually visual: The effects of visual technologies on online identification. In DiGRA ’05—Proceedings of the 2005 DiGRA International Conference: Changing Views: Worlds in Play. http://citeseerx.ist.psu.edu/viewdoc/summary?doi=10.1.1.105.8177. Shaw, A. (2011). “He could be a bunny rabbit for all I care!” Identification with video game characters and arguments for diversity in representation. In DiGRA ’11—Proceedings of the 2011 DiGRA International Conference: Think Design Play. http://dx.doi.org/10.5749/minnesota/9780816693153.003.0004. Tajfel, H. (1970). Experiments in intergroup discrimination. New York: Oxford University Press http://dx.doi.org/10.1038/scientificamerican1170-96. Yee, N. (2017). Just how important are female protagonists? Quantic foundry. http://quanticfoundry.com/2017/08/29/just-important-female-protagonists/. Quinn, Z. (2013). Depression quest. http://www.depressionquest.com/.